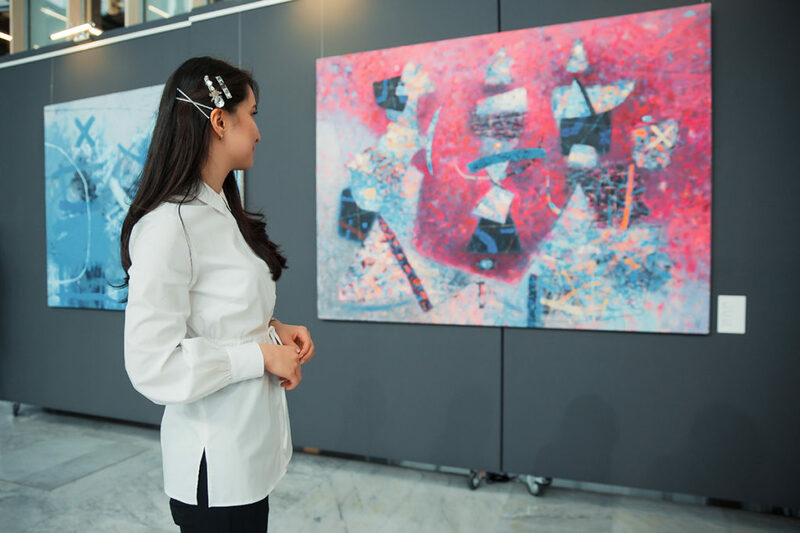 NUR-SULTAN – The April 4-30 Triumvirart contemporary art exhibition in the capital features the work of three Kazakh artists Marat Bekeyev, Eduard Kazaryan and Andrei Noda. The artists’ work features paintings and sculptures. The free exhibition is being hosted by the Forte Bank Kulanshi Art Gallery. This exhibition is called Triumvirart, which is a word play on the Latin word triumvirat (“three men union”) and the word “art”, as it will feature the works of three artists, united by a common goal of creating art together and making it more accessible for Kazakh citizens. Each one of the three artists has a distinct style, as described by the Head of Kulanshi Curator Council Leila Makhat. Bekeyev’s painting style is filled with allegories, combining conciseness with complexity of shapes and images. His paintings’ dramatic qualities aim to create an illusion of the work just being finished, with the viewer feeling the energy of the work. 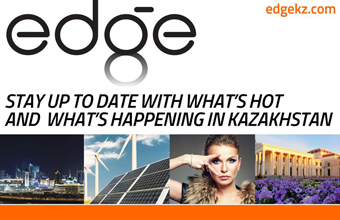 Kazaryan is a renowned sculptor who works with a variety of materials. Sculptures are made both of classic and unexpected materials, as Kazaryan likes to play with his material, working with bronze, aluminium, glass and ceramics. He tries to create feelings of harsh romantic and soft monumentalism in his works, subverting expectations to create viewers’ emotions. Noda’s signature painting style consists of colour, shapes and unexpected composition solutions. He creates a monumental feeling using broken lines, making his paintings graphically precise. Bekeyev is an Almaty-based artist. He is a member of the Kazakhstan Union of Artists. Kazaryan also is an Almaty-based artist who received numerous awards for his art and his impact on Armenian culture (Kazaryan is ethnically Armenian). Noda is a Tarlan-based artist. During his 40 year-long career he participated in more than 300 exhibitions, including 30 of his personal exhibitions.